While the original Movi series of stabilizers have established themselves in the professional video market, the Freefly Movi Motorized Gimbal Stabilizer for Smartphones (aka Movi Cinema Robot) brings all of Freefly’s experience and condenses it into a pint-sized, three-axis gimbal for just about anybody. The sleek form factor can be used with either one or two hands, and the smartphone clamp will hold phones up to 3.5mm wide. 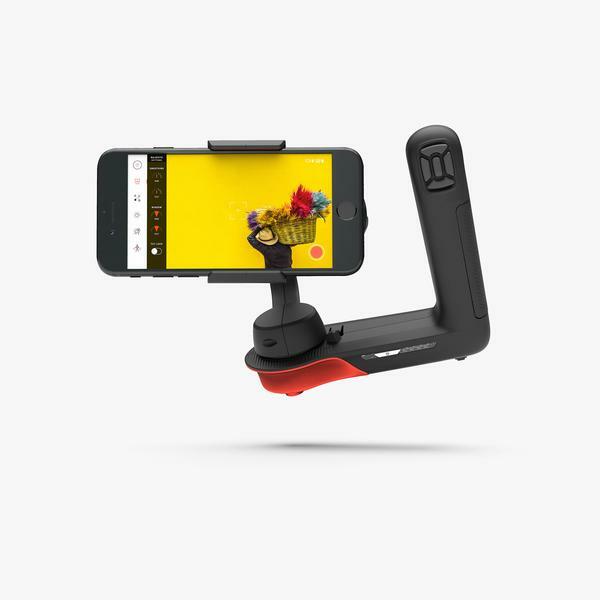 Once you’ve installed the app on your smartphone and secured the clamp, you’re free to capture smooth and stable footage using one of the customizable operating modes. Select between Majestic, Echo, Time-Lapse, Movilapse, Smartpod, and Orbit modes, depending on the shot you want to capture. Check out the features section below for a more in-depth rundown of the operating modes. Note: Only the iOS app is currently available; the Android app will be made available in the future. Majestic mode gives you direct control over the Movi stabilizer. The Movi will smooth out and stabilize your movements in two ways: 1) providing a movement threshold where Movi will ignore your movement completely, and 2) smoothing the movement outside this threshold to prevent jerky motion. These settings can be changed to be more responsive for tracking fast action, or smoother for slow, cinematic moves. Time-lapse mode allows you to capture professional-looking, super-smooth time-lapse footage nearly anywhere. Set Movi down in an interesting place, frame your initial shot, set your start and end frame, and wait for some magic. The Movi will execute movements precisely, so that when played back at 10x speed, the world will look as if it’s flying by.